Product Review | Crystal Wilkinson’s Template Packs, & a Coupon! 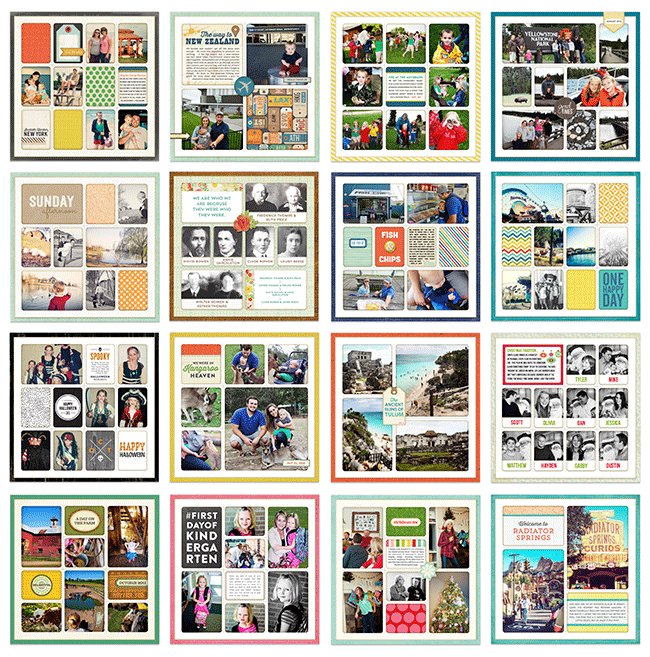 I was contacted by Crystal Wilkinson to ask if I would like to review her new 12×12 digital template packs. Sure! 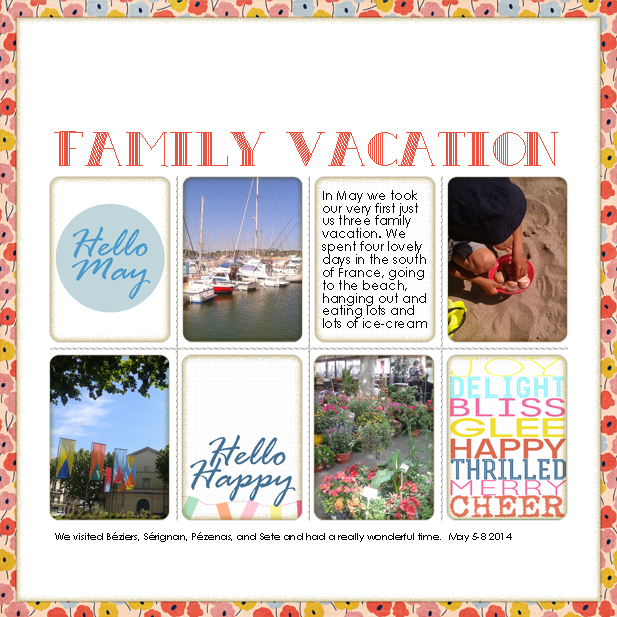 It’s been a while since I did any digital scrapbooking, but happily her templates made it quick and easy. There are eight sets of 12×12 templates. Each pack includes four different templates. In the pack she includes both a styled and non-styled version. The styled version already includes shadows and vignettes, so literally all you have to do is drop in your photos, papers and journaling. If you prefer to do your own shadowing, the non0styled version comes plain. 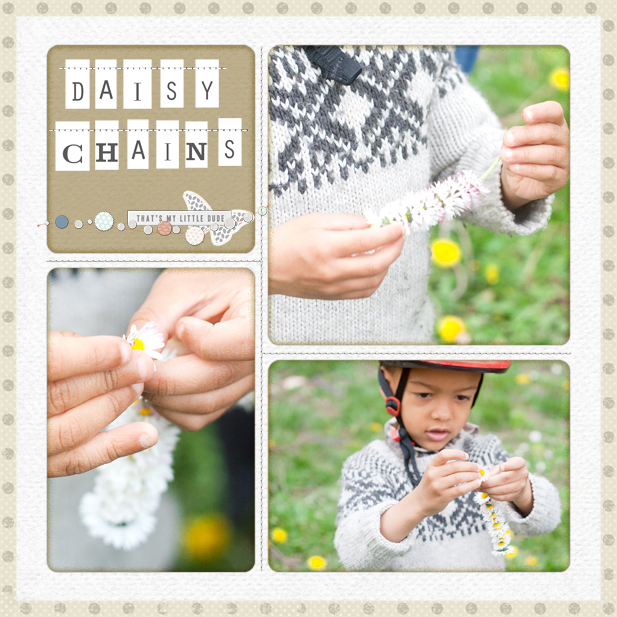 Each template has enough space for at least four photos, and some will allow you to scrap as many as 12 photos! I love that with the same standard design running through the templates, you could easily make theme albums by simply re-using the same background paper throughout. If you’re wondering what to do with all those vacation or special event photos, this is the answer! I immediately thought of three topics I wanted to scrap with the templates, and got to work. First, our recent vacation, which is still on my mind! I did a preliminary overview layout using the template, and included some of my favorite photos from our stay. 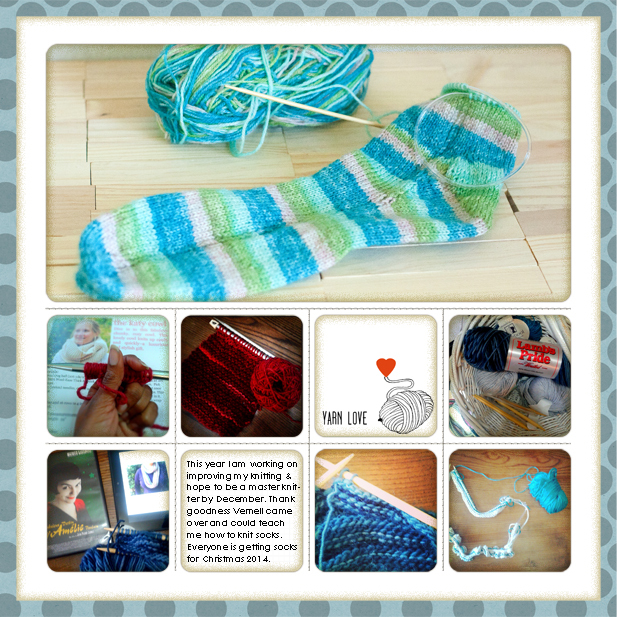 Next, I tackled a layout about a new obsession: knitting! The design of this template was perfect for one large overview photo and six smaller supporting photos from my Instagram feed. I was able to whip out these three layouts in about an hour, and my Photoshop skills were kind of rusty! if you need a refresher on using templates, check out my tutorial at write.click.scrapbook. Want some more inspiration? Here are some layouts that Crystal herself made. These are all part of her daily layouts challenge for May. You can see even more here. Hi Heather. Thanks for the kind words! Yes, you would need to use Photoshop or Photoshop Elements to work with the templates. You can download a free trial version from Adobe to try out for 30 days.